Reviews of any airport depend upon the facilities and services it offers to the numerous passengers or travelers. 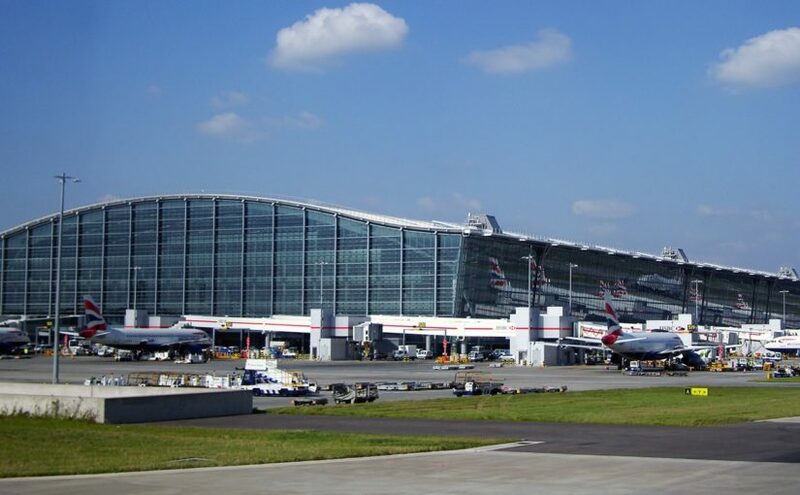 Talking about the London Heathrow Airport in the United Kingdom, it is the 3rd busiest airport in the world on the basis of international passenger traffic. Serving passengers from more than 185 destinations in around 85 countries, the airport supports more than 80 airlines. When it comes to discussing the services offered at Heathrow Airport (UK); then probably the following points are what you need to know. At the airport, you will find a great range of connectivity which let you stay connected while waiting for your flights. You can also enjoy the facility of free mobile and laptop charging and the pay-as-you-go computer desks with internet access which let you stay engaged. If you are traveling with your children, then you can get the glimpse of baby changing facilities at all terminals. Along with that, the facility of additional nursing rooms is available at terminal 3 and play areas are also there at terminal 3 and 5 in order to entertain your child. You can also find a wide range of additional baggage services over here which includes the baggage storage and porter services to help in carrying your bags. At Heathrow, you can avail facilities like wheelchair accessible toilets, induction loops and help points and much more very easily. Apart from that, you can also find pharmacies and cash machines in all terminals both before and after security. The terminal 1 of the airport was closed in June 2015. Several newer boarding gates which were initially used by Terminal 1 had been built as part of the Terminal 2 development; later on, are being retained as a part of Terminal 2 only. British Airways was the last operator in Terminal 1. All operations have been relocated to Terminals 3 and 5. Officially known as the Queen’s Terminal, it is the newest terminal of the airport. You can find a satellite pier, a 1,340-space car park, an energy center along with a cooling station to generate chilled water. A wide range of shops, bars, and restaurants will make it easy for you to wait for your next flight. Arrangements are made for the development process of this terminal by increasing its capacity as plans are there to close the Terminal 3 by 2019. The terminal 3 at the Heathrow Airport was opened in November 1961. It was introduced to handle departures of flights for long-haul routes for foreign carriers to the United States, Asia, and other Far Eastern destinations. Rather the current status is that this terminal will soon be demolished by 2019 when the Terminal 2 has been completed. The Terminal 4 is situated to the south of the southern runway which is next to the cargo terminal. It is connected to Terminals 1, 2 and 3 by the Heathrow Cargo Tunnel. This terminal is connected with the flights coming from Asia and North Africa and some of the flights to Europe. Installation of an extended check-in area with renovated piers and departure lounges and a new baggage system has been done in this Terminal. The terminal 5 was open to the public in March 2008. It lies between the northern and southern runways at the western end of the Heathrow site. You will find a four-storey main terminal building and two satellite buildings which are linked to the main terminal. The terminal 5 has also been selected as Skytrax’s ‘World’s Best Airport Terminal’ in the year 2014 in the Annual World Airport Awards. The terminal 5 supports over 100 shops and several restaurants including the capacity for 60 aircraft stands and 30 million passengers. You can get the services of around more than 100 cafes, restaurants, and bars here at Heathrow Airport. Whether you want to have a snack or a full meal, you can get a great variety plus the glance of quality dining experience over here. Lounges are your best friend when it is in concern with waiting for long at the airports for your connecting flights. And here at London Heathrow Airport, you can avail tremendous set of elegant lounges which is appropriate to relax or for a business meet. Along with that, you can order delicious food or beverages here or just enjoy the complimentary treatments at Spa. Yes, the access to these lounges depends upon class and the frequent flyer membership status. With more than 150 shops in total, the Heathrow airport is just the right place for the shopaholics. From travel essentials to new gadgets or perfumes or skincare products, you will find everything here. You can avail a number of shopping services too like personal shopping, reserve and collect or home delivery. The best part of the airport was its bus service; you don’t need to wait for long as the bus comes every 10 minutes. And I must say that the airport has the best-looking terminals full of space and lots of light. The terminal 2 supports an abundance of seating areas, lots of shopping and several coffee shops and restaurants too. Highly recommend the terminal 2, totally worthful for waiting. This is one of the beautiful, open, clean and spacious airports I have ever been to. With excellent pick and drop facility, it just has everything that a traveler looks for. From clean and tidy toilets to the perfect security check, you won’t need to wait much. Above all the variety of the options available for eating and distribution is just too superb.